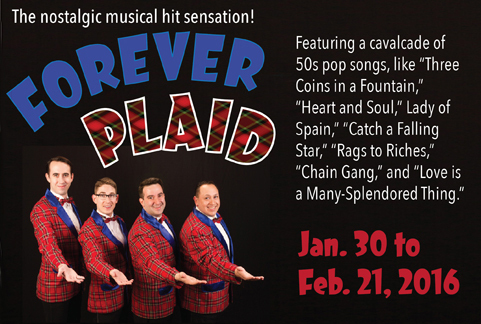 As they move into a closely harmonized, ‘heavenly-sounding’ “Three Coins in a Fountain,” we and they know that South Bay Musical Theatre has scored a hit in producing Stuart Ross’s Forever Plaid, a 1990 off-Broadway hit that has since seen this final concert re-played thousands of times on stages large and small across the globe. Forever Plaid continues in production by South Bay Musical Theatre through February 21, 2016 at the Saratoga Civic Theatre, 13777 Fruitvale Avenue, Saratoga, CA. 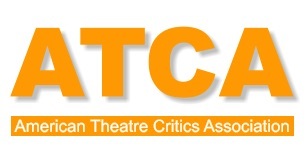 Tickets are available online at http://www.southbaymt.com/contact/tickets.html or by calling 24 hours a day 408-266-4734).